Did Robert tweet the title? I don't remember seeing it before. After tonight's episode - if anyone wants me to change gifs of the moment, just give me the link to tumblr. He said it at the comic con when they got interviewed together. Thanks for the info, I really like their friendship. They are. I love the gif of them floating around of them walking into each other at Comic Con. Yay for a new thread. I love that quote. Pity we can't quote the full thing though HeHe. But I love their friendship, it's so cute. You can just tell they adore working together. Also so excited and kinda nervous for these last few episodes. Imagine only 3 left!!!! FI - 20/06/2014 the date I met Jared, Lana, Sean, Bex, Robbie and Emilie! Best weekend ever. So Jac - reckon we are in for a good Regina filled episode?. Hope we at least get more scenes than last weeks where she was in it for all of 5 3 mins in total. Should be an intersting moment. Things are really heating up now. Can't wait for next weeks episode. LOOKS AWESOME. Tonight was great! She really played it well. 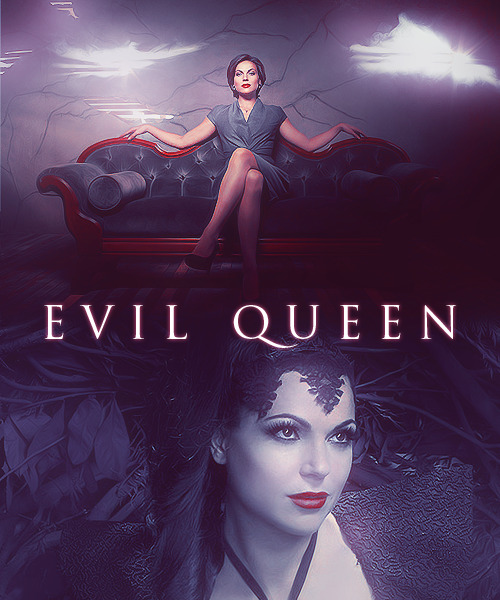 Love LP - she's so amazing as the EQ! Can't imagine anybody else in this role. FLORENCE: You'd really do that? Really? Come out of your seclusion ... for me? Regina is about to snap. She's starting to see things unraveling around her and now Emma goes and takes Henry. Oh, these last two episodes are going to be epic!! There should be no shortage of Regina awesomeness!! ^ I agree, only desperation could make Regina go after David cause that was not very smart, she is usually more clever then that, I'm actually confused at the concept, FAIL! !